The presenter has not won the same award in the preceding conference (unless there are no other qualifying presentations). This award is given in honour of Hanno Boon, who together with other ASSA colleagues, instituted the medical education time-slot into the annual ASSA programme. 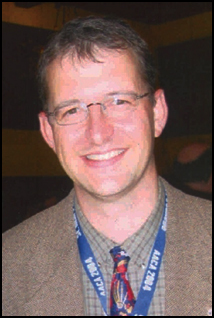 Prof. Johannes Marinus (Hanno) Boon, a member of the Department of Anatomy at the University of Pretoria was tragically murdered on 13 December 2004, at the age of 34. His passing was deeply felt by all who were fortunate enough to know this exceptional man as colleague, teacher, researcher, medical practitioner and friend. Hanno was born on 8 June 1970. After he graduated as medical doctor from the University of Pretoria and finished his internship, he completed a degree in Family Medicine at the same University, while working in the Emergency Rooms of both Pretoria Academic and Mamelodi Hospitals. In his short career, Hanno achieved much more than most people achieved in a lifetime. In the words of the rector of the University of Pretoria, Prof Pretorius, Hanno was one of the shining new stars at the University. He will be truly missed. No single person will be considered for more than one award at any particular conference. If the presenter fits into more than one category (for example under 35 AND 1st time presenter) then the presenter must choose for which award they wish to be evaluated. If no qualifying presentations are given in a particular category then the award will not be made.